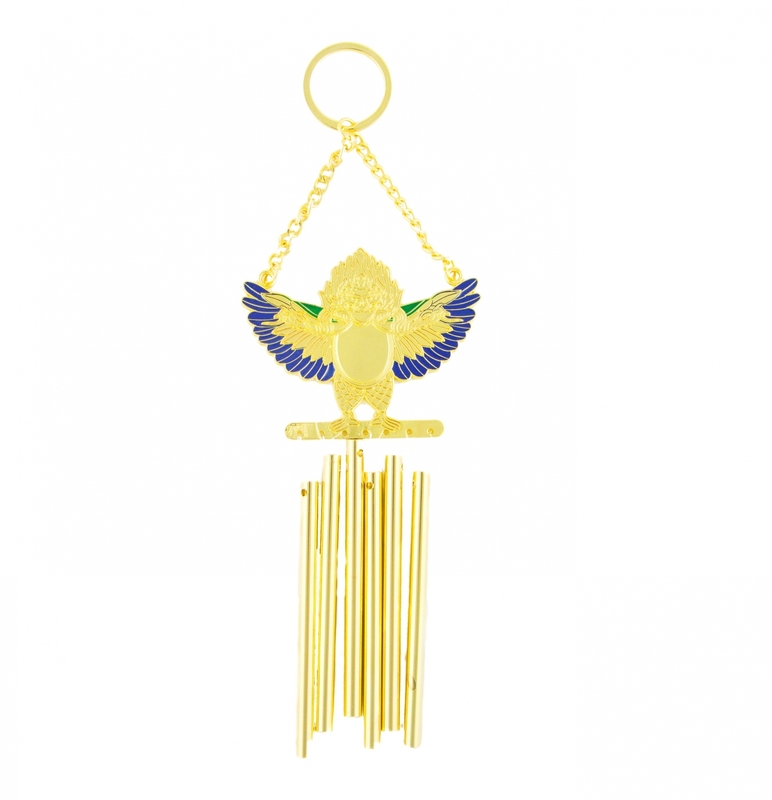 Featuring of one garuda bird and 6-rod wind chime, this beautiful feng shui Garuda Windchime is one of the best feng shui cures to dispelling illness, hindrances, obstacles, and negative chi. You can hang such Garuda Wind chime in NE location in 2019 year of the pig to alleviate the effect of the sickness flying star #2. The overall length of the whole feng shui windchime is approx. 9.5"(L) x 3" (W). Each metal rod is approx. 3.5" in length. The feng shui windchime is made of metal.